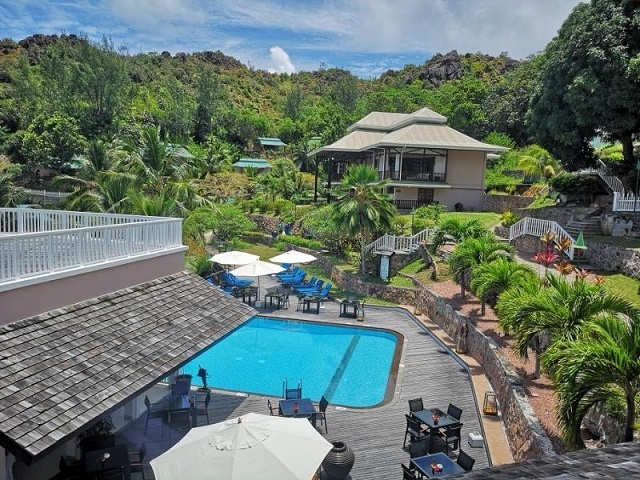 (Seychelles News Agency) - A tourism accommodation on the second-most populated island of Praslin has received for the first time the Seychelles Sustainable Tourism Label for integrating sustainability in its operations. Hotel L’Archipel, represented by general manager Lucas d’Offay, received the certificate in a short ceremony at the headquarters of the Ministry of Tourism at the Botanical House in the central district of Mont Fleuri. 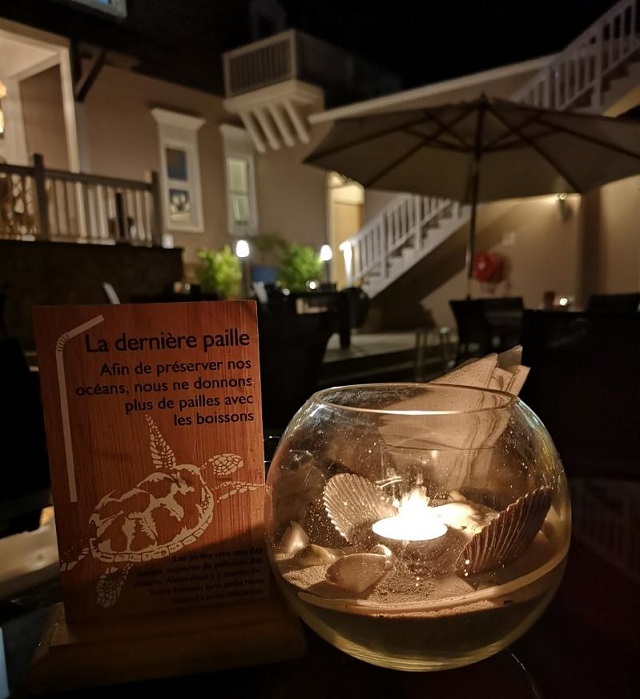 The general manager said that getting the award has not been easy but thanks to the tireless work of the management and staff, the Hotel L’Archipel was able to fulfil all the criteria needed. “Over the past five years, Hotel L’Archipel has been looking at many ways of reducing our carbon footprint and ways in reducing our operational costs. It was not easy as we had to make sure that our guest satisfaction and comfort remains the same or better,” he said. L’Archipel is located in the north-east region of Praslin at the end of the Côte d'Or Bay. The hotel has 18 deluxe rooms, five superior rooms, seven senior suites and two family suites nestled in a colourful and exotically scented tropical hillside garden. Among the sustainable initiatives, the hotel has undertaken are installing energy management systems in refurbished rooms saving by 30 percent the air-conditioning energy consumption. The hotel has installed 244 solar panels with an annual production of 108,000 kilowatts and implemented bio-technology cleaning in the restaurant and kitchen operations ensuring a hygienic and safe environment for guests and staff. The Seychelles Sustainable Tourism Label certificates are awarded to tourism accommodation only after they are found to be integrating sustainability practices in their business operations. The aim of the award is to encourage hotels of all sizes in Seychelles, an archipelago in the western Indian Ocean, to mainstream sustainability practices into their business operations to safeguard the biodiversity and culture of the island nation. During the ceremony, the certification of three other hotels was renewed -- Hilton Seychelles Labriz Resort & Spa, Berjaya Beau Vallon Bay Resort & Casino and Constance Ephelia Resort. The certification to the three establishments was awarded two years ago. In a statement to the press on Wednesday, Hilton Seychelles Labriz Resort & Spa located on Silhouette Island said various eco-projects were launched by the hotel this year. These include a ban on plastic at the resort which has been replaced by glass bottles ﬁlled with ﬁltered water from the island’s own waterfall. In a short address, the Minister of Tourism, Civil Aviation, Ports and Marine, Didier Dogley, expressed his satisfaction at seeing the increasing interest of various hotels towards the sustainable tourism initiative. To date, the Seychelles Sustainable Tourism Label has been awarded to 18 hotel establishments in the island nation. “Sustainability is the talk of the day. These past few months I have had a chance to engage in various debates regarding sustainability as a whole. From my past experiences and my recent encounters I am glad to say that Seychelles is one of the few countries with a robust national label, which lives up to the green reputation Seychelles has worldwide, said Dogley.